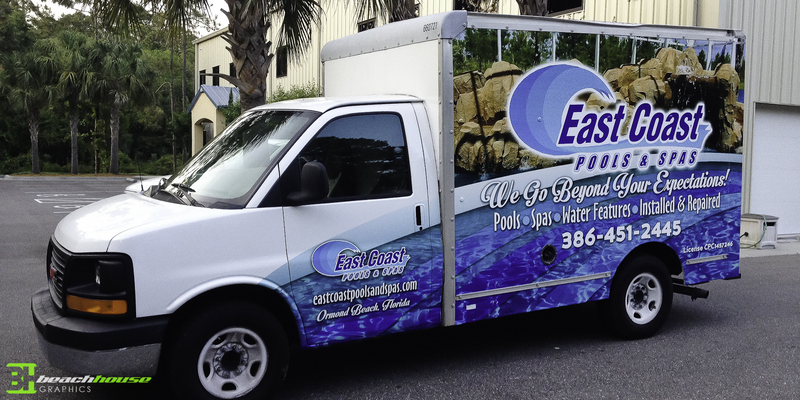 Recently we wrapped East Coast Pools box truck with 3M & Avery wrap material. 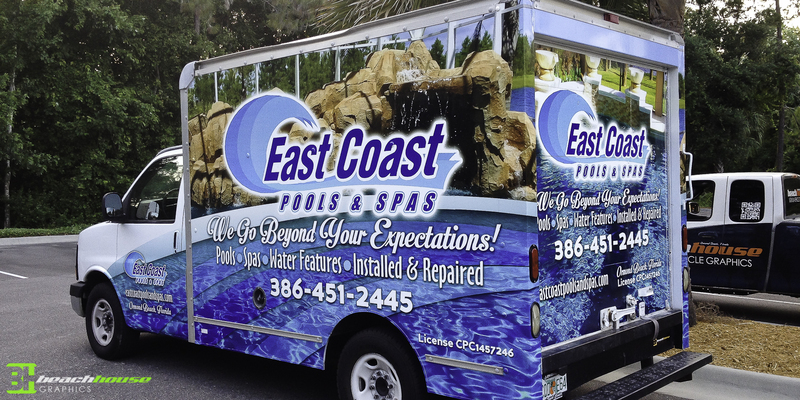 The graphic was designed by Beach House using the companies existing logo. 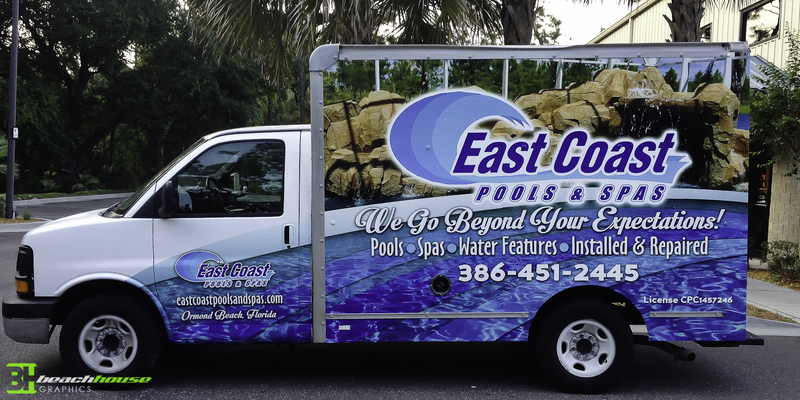 It was a pleasure working with East Coast Pools and we look forward to seeing the wrap around town! !